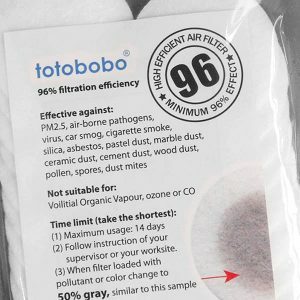 New Totobobo PRO filter is five times larger but it adds only 6 grams to the mask. A slight weight increases for a significant gain in filter power! Running is a physically demanding activity. 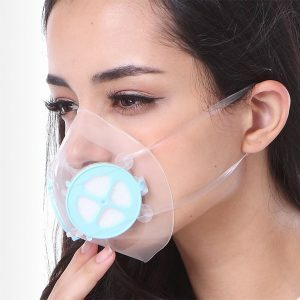 Training in high level of air pollution can damage the lungs and increase the chances of heart attack and stroke. 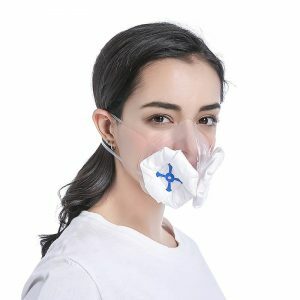 Running athletes breathe in extra large volume of air and therefore it is necessary to increase the effective filter area in order to capture the large amount of pollutants passing through. 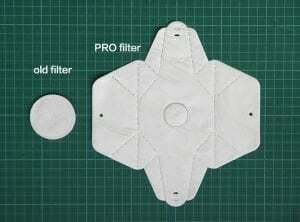 However simply increasing the filter and the filter carrier is not an acceptable solution. 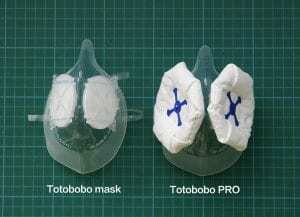 An early prototype indicates that the weight of the mask will be at least doubled (48 grams). 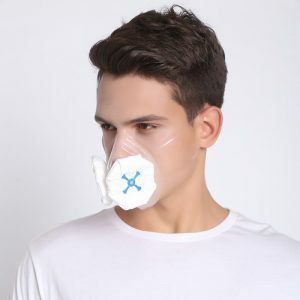 Since we take pride being the lightest reusable mask in the market, doubling the weight is definitely not acceptable. 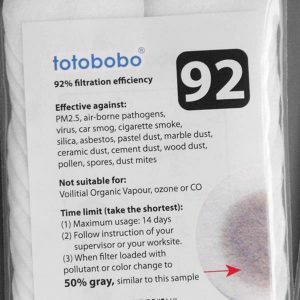 Miraculously our new Totobobo PRO-filter, is five times larger but it adds only 6.7 grams to the mask. More specifically from 20.1 grams to 26.7 grams, an acceptable small increases for a significant gain in filter power. 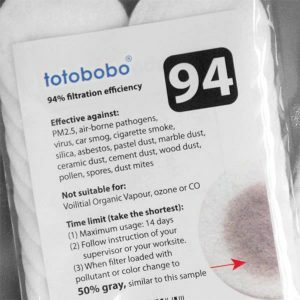 While developing product improvements we are careful to minimize the environmental impact as well as protecting our loyal user’s investment in Totobobo products. 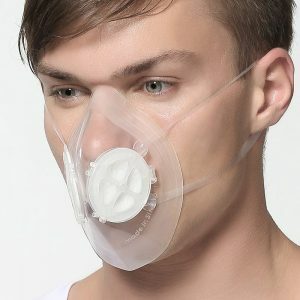 Previously users can keep using the same filters (F96, F94 F92) during the last two upgrades of mask body. This time existing Totobobo mask (since 2014 version) users will be happy to know that they can upgrade to PRO by simply changing out the old filter. 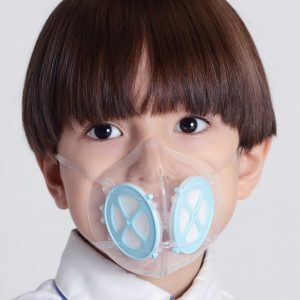 This means you can keep running, enjoy using your very own customised Totobobo mask, while sizing up your protection against air pollution even in the most demanding days. Furthermore, this upgrade is reversible, you can switch back to old filters during the less demanding days. 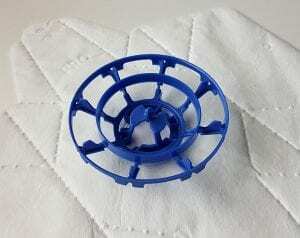 Don’t throw away the old filter covers and the small rubber rings, they will be useful when you want to change back. 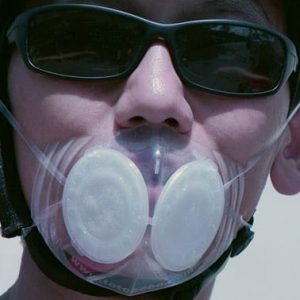 Suitable for most adults Headstrap adapter included. Water-mark seal check. ReShape to fit different face/nose/chin contour. 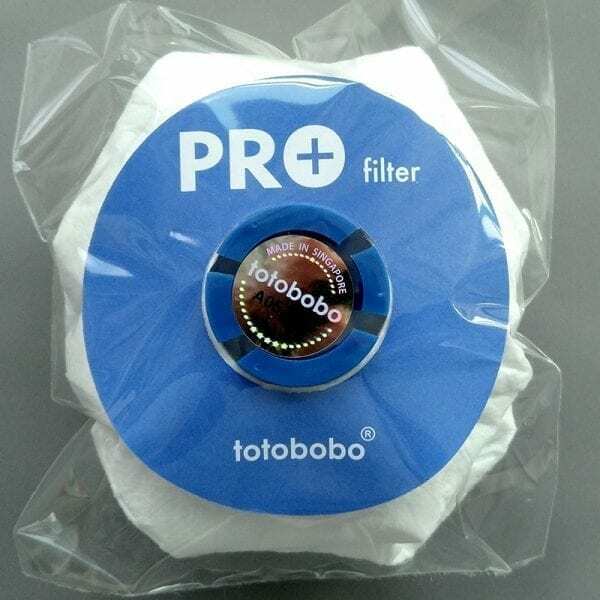 Filters pre-installed.